FREE! Magazine » Competition!!! Get for FREE! one CD from the Finnish metal band 2 Wolves!!! FREE! 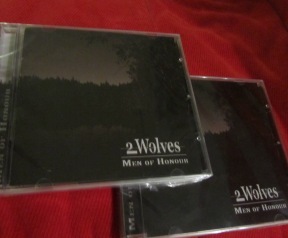 Magazine gives away 2 copies of the latest album from Finnish metal band 2 Wolves: “Men of Honour“. If you want to be one of the lucky winners, it is just as easy as sending the right answer to our editor antonio.diaz(at)freemagazine.fi, writing in the subject of the email “2 Wolves Competition”. Good luck and horns up! The name of the band is “2 Wolves”. What was the biggest influence on Aleksi Susi when he was thinking how to name his group?